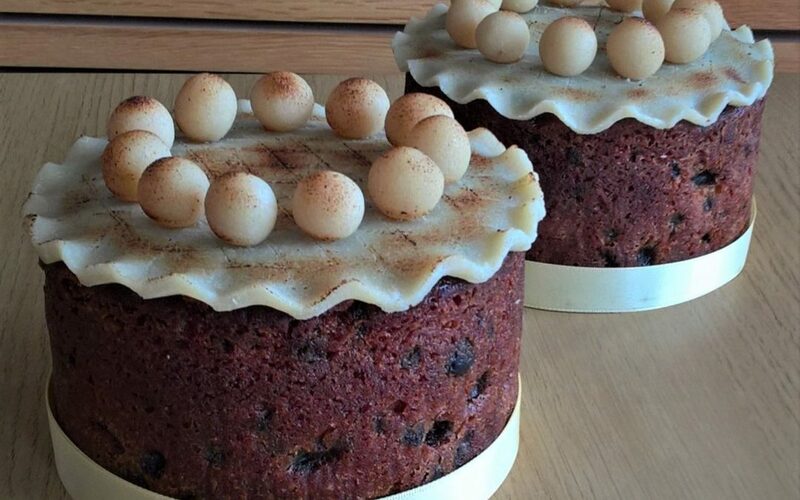 A Simnel Cake is a light fruit cake, which has become a tradition to be eaten at Easter time. The 11 balls of marzipan used to decorate the top are believed to represent the apostles – minus Judas! To create an extra rich and moist cake, we marinate the fruits in brandy and soak the cake with syrup. It is fun to make and very tasty! The marinated fruit should be prepared in advance, at least the night before but ideally longer. To prepare, bring a saucepan of water to the boil and add the sultanas and currants. Simmer for 2-3 minutes and strain. Place into a large bowl, allow to cool slightly and pour the brandy over them. Cover and leave to marinate in the fridge for up to 1 month. Place the sugar and water into a saucepan and bring to the boil. Simmer for 2-3 minutes. Allow to cool fully before adding the brandy. Cream together the butter and sugar until light in colour and texture. Gradually add the eggs and mix until fully combined. In a separate bowl, sieve together the flour, baking powder, cinnamon, ginger, nutmeg, and mix well. In a separate mixing bowl, combine the marinated fruit with approximately ¼ of the dry ingredients. Fold the remaining sifted dry ingredients in with the cake mixture. Add the fruits and combine well. Divide the marzipan into 6 equal parts. Roll two parts into discs 16cm in diameter. Spoon ¼ of the cake mixture into the base of each tin. Place a disc of marzipan into each tin and gently flatten. Spoon the remaining cake mixture into each tin and level the top. Bake in the oven for approximately 1 ¼ hours. Ensure it is fully cooked before removing from the oven. Allow to cool slightly before demoulding the cakes. While still warm, use a brush to generously soak the cakes with the prepared syrup. Roll out two of the remaining pieces of marzipan to discs of approximately 18cm. Trim neatly into tidy discs. Heat the apricot jam and brush onto the tops of each cake. 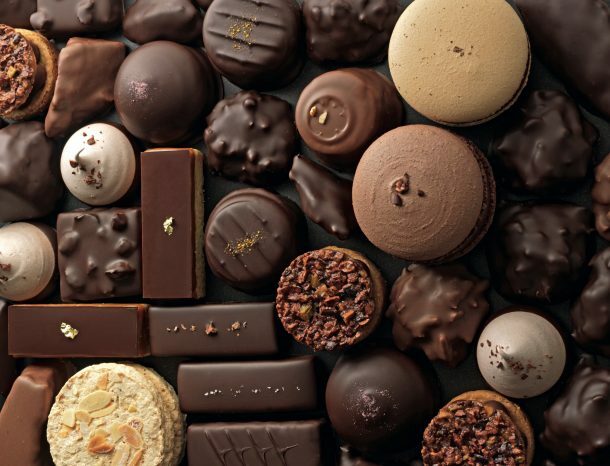 Place the prepared marzipan discs onto the top of each cake. Press the edges of the marzipan to create a frilled crimping effect. Divide the remaining two portions of marzipan into 11 pieces of approximately 6-7g each and roll each into small balls. Use the apricot jam to glue 11 balls to the top of each cake, evenly spaced apart. Use a blow torch to toast the top of each cake. Alternatively, place under a grill for a minute until golden.